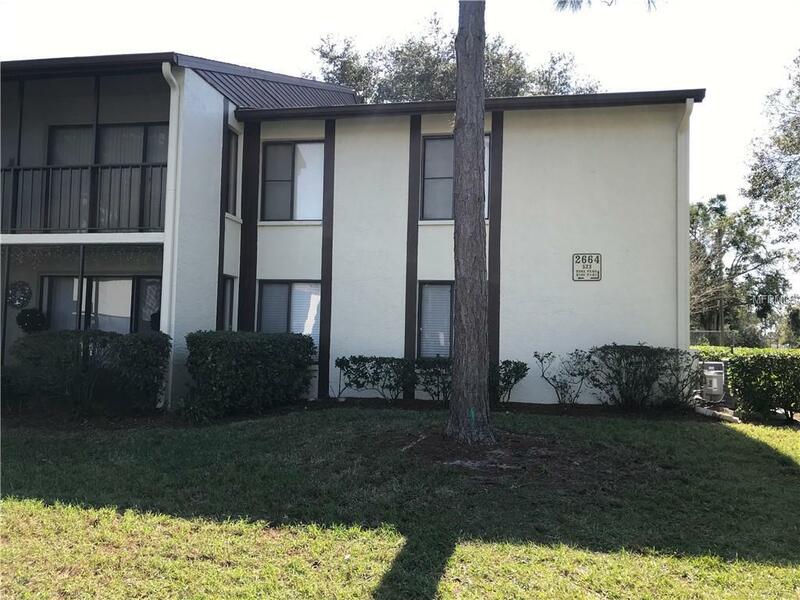 FIRST FLOOR CONDO IN FANTASTIC 55+ COMMUNITY.New Kitchen Cabinets, New Granite Counters, New Water Heater Very Private Location - Large Bedroom with Walk-in Closets and Ceiling Fans - Comfortable Covered Screened Patio - Easy Maintenance Ceramic Tile in all the Right Places. Lakeside Community Heated Pool and Spa, Active Clubhouse and Shuffleboard. RENT INCLUDES WATER.